We will always work with a family to honour their loved one's memory. 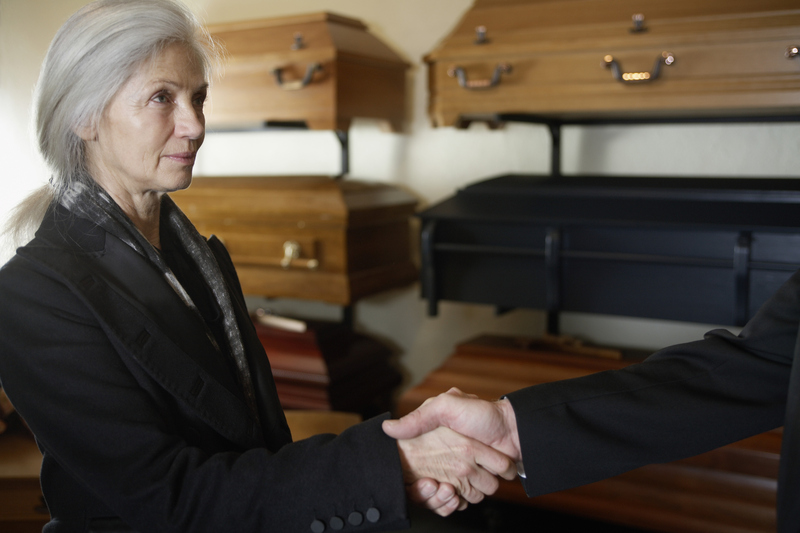 When I meet someone for the first time, they are usually surprised to hear I'm a funeral director. And they typically assume that I spend a large part of my day with the deceased. But that couldn't be further from the truth; most of my job involves caring for the living. You may think that our primary role is to stand at the front door in a nice suit and greet people as they enter the funeral home, since that's what you see most commonly see upon your arrival. This only begins to scratch the surface of my job. In the funeral business, there is no such thing as a typical day, however, there are some tasks that I do on a daily basis to ensure that everything runs smoothly. I spend a good portion of my time orchestrating the day, knowing which staff is scheduled to work, what families are coming in for arrangements and if there are any visitations, services or interments. Organization, planning and foresight are key aspects of our daily work lives. Most families only come to a funeral home a few times during their lives. So it's critical to make sure those experiences are as comforting and pleasant as can be in those circumstances. It is important that the funeral home is presentable and ready to receive grieving families and loved ones. We want them to feel at ease when they enter our doors. Those who know me know that I am a perfectionist — most funeral directors are. First impressions are important, which is why every detail is taken care of, from making sure the flowers are just right to thoroughly cleaning each room and ensuring everything is in its proper place. The job can be very physical, there is rarely a day where we are not washing a car. Just as a good first impression is essential in many workplaces, for us they help to set the tone for families who are looking for the answers to very important questions. For the services that take place in our funeral home, we always make sure that everything has been prepared to the family's specifications and is ready when they arrive. The last thing a loved one should have to be concerned with during a service is if something appears out of place. During services our role is to be there for the family and assist in any way we can. This can range from greeting family and friends when they enter to assisting them with the registry book or charitable donations. We also make a point to support clergy with the flow of the service. We control video or music that will be played and will make formal announcements at the end of the service. We are always directing people and giving guidance. This is all to ensure that families and loved ones can focus on grieving and reflecting. We work with our clients to make sure that the service is as true to the person's memory as possible. I have seen an increase in the amount of customization in services and we believe that we can make most requests happen. We have a large lobby in the funeral home and many times that area has housed a cherished motorcycle. During another service, we made room for line dancing in front of the chapel. We will always work with a family to honour their loved one's memory. No request is too strange. I always think it best to ask if something is possible, rather than assume it won't be. We will always work with a family to honour their loved one's memory. No request is too strange. Not a day goes by that I don't have to open myself up to connect with people. Although being a great multi-tasker with a can-do attitude is important, every day requires a genuine authenticity. While we are here to provide a service, we have to build a human connection. Funeral directors wear many hats. Every day brings something new, our profession is incredibly rewarding and allows us to bring some comfort and assurance to those facing one of the most difficult times of their life.